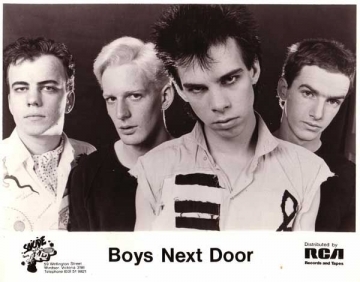 As the cult of Cave grows, more and more non-Australian music fans may discover the Boys Next Door and their lone album, 1979's Door, Door. Singer Nick Cave, guitarist/multi-instrumentalist Mick Harvey, bassist Tracy Pew, and drummer Phil Calvert were disaffected, dissatisfied teenagers growing up in a middle-class section of Melbourne, listening to hard rockin' glam acts like the Sensational Alex Harvey Band and Alice Cooper. (It won't surprise anyone to find out that Cave was also informed by country luminaries Johnny Cash and Hank Williams.) They uprooted themselves from the "right" side of the tracks and settled down comfortably with the junkies and prostitutes in an appropriately run-down area. As the rising tide of punk began to crash on Australia's shores, the Boys' realized that this was the proper direction for their chaotic, anarchic energies, and homegrown punk heroes like the Saints and Radio Birdman greatly influenced their musical direction.They started working their way towards the top of the musical heap, their live shows quickly becoming notorious as chaotic, noisy, and nasty affairs -- characteristics the musicians would later push to the breaking point as the Boys Next Door. This sheer recklessness garnered them a following, the buzz eventually leading to a deal with Mushroom, a successful Australian independent record label. The band recorded six songs before having the good fortune of stumbling upon Rowland S. Howard, who became the band's second guitarist and author of their most popular composition, "Shivers." 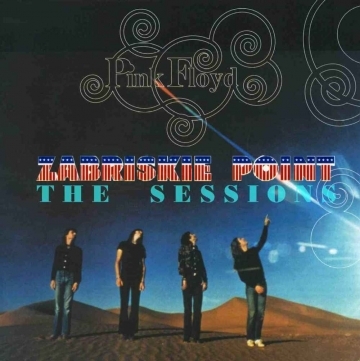 That song, along with three others, was recorded in later sessions that featured the revamped lineup. 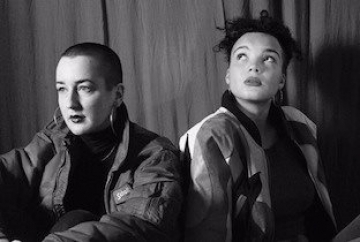 "Shivers" became something of an anthem among the Australian punks and was the musical centerpiece in the bleak film Dogs in Space, concerning the sordid lives of a handful of young people in a Melbourne slum. The album that appeared, Door, Door, combined the two recording sessions but was not well-loved by the musicians, as they felt the results were too poppy (comparing it to any of their later releases, especially the albums Prayers on Fire and Junkyard, one can't help but agree).They were rapidly changing their style, anyway, as well as their name: in 1980 they released their first album as the Birthday Party, and soon hightailed it from Australia to London. 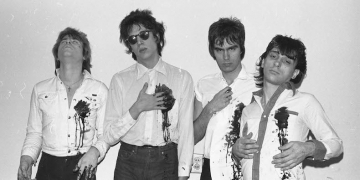 The Heartbreakers, also known as Johnny Thunders and the Heartbreakers to distinguish them from Tom Petty's band, were an American punk rock band, formed in New York City in May, 1975. The band spearheaded the first wave of punk rock.L.A.M.F. is the only studio album by the American band The Heartbreakers, which included Johnny Thunders, Jerry Nolan, Walter Lure and Billy Rath. The music is a mixture of punk and rock and roll."L.A.M.F." 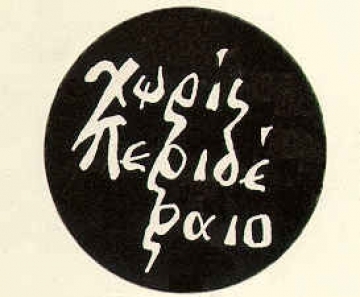 stands for "Like a Mother Fucker"; in a 1977 interview in the UK monthly magazine Zigzag, Thunders said this originated from New York gang graffiti. Thunders claimed the gangs would add the LAMF tag after writing their gang name. However, if they were on another gang's territory they would write "D.T.K.L.A.M.F" (Down to Kill Like a Mother Fucker). The original, vinyl release of the album has been criticised for having a lackluster sound despite several attempts to remix it. 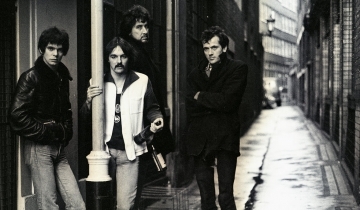 The Stranglers are an English rock band who emerged via the punk rock scene. Scoring some 23 UK top 40 singles and 17 UK top 40 albums to date in a career spanning four decades, the Stranglers are one of the longest-surviving and most "continuously successful" bands to have originated in the UK punk scene.Formed as the Guildford Stranglers on 11 September 1974 in Guildford, Surrey,[note 1] they originally built a following within the mid-1970s pub rock scene. While their aggressive, no-compromise attitude identified them as one of the instigators of the UK punk rock scene that followed, their idiosyncratic approach rarely followed any single musical genre and the group went on to explore a variety of musical styles, from new wave, art rock and gothic rock through the sophisticated pop of some of their 1980s output.The Stranglers' early sound was driven by Jean-Jacques Burnel's melodic bass, but also gave prominence to Dave Greenfield's keyboards. Their early music was also characterised by the growling vocals and sometimes misanthropic lyrics of both Burnel and Hugh Cornwell.Over time, their output gradually grew more refined and sophisticated. 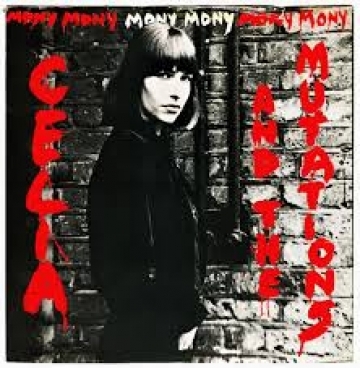 Summing up their contribution to popular music, critic Dave Thompson later wrote: "From bad-mannered yobs to purveyors of supreme pop delicacies, the group was responsible for music that may have been ugly and might have been crude – but it was never, ever boring." Devo is an American rock band from Akron, Ohio formed in 1973. Their classic lineup consisted of two sets of brothers, the Mothersbaughs (Mark and Bob) and the Casales (Gerald and Bob), along with Alan Myers. The band had a No. 14 Billboard chart hit in 1980 with the single "Whip It" and has maintained a cult following throughout its existence.Devo is known for their music and stage shows mingling kitsch science fiction themes, deadpan surrealist humor and mordantly satirical social commentary. Their often discordant pop songs feature unusual synthetic instrumentation and time signatures that have proven influential on subsequent popular music, particularly new wave, industrial, and alternative rock artists. 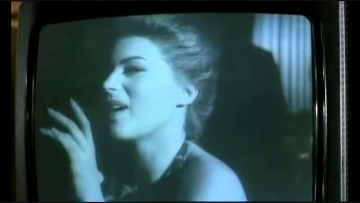 Devo was also a pioneer of the music video, creating clips for the LaserDisc format, with "Whip It" getting heavy airplay in the early days of MTV. 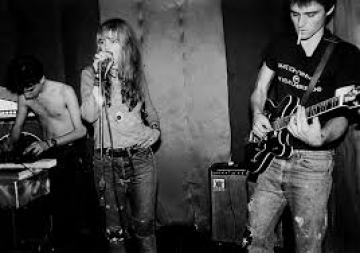 Royal Trux is an American alternative rock band active from 1987 to 2001.It was founded by Neil Hagerty (vocals, guitar) and Jennifer Herrema (vocals).Esso dame is a song from their first album "Royal trux".It was released in 1988.